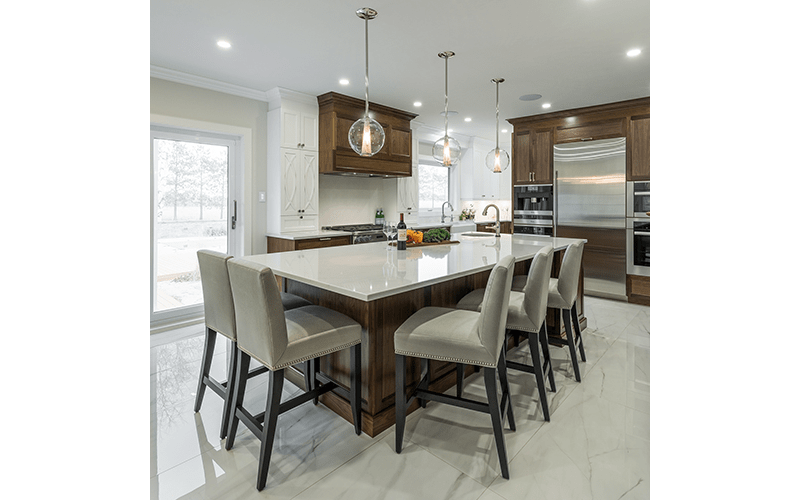 Here is a completed kitchen project in a prestigious home near the city of Joliette. 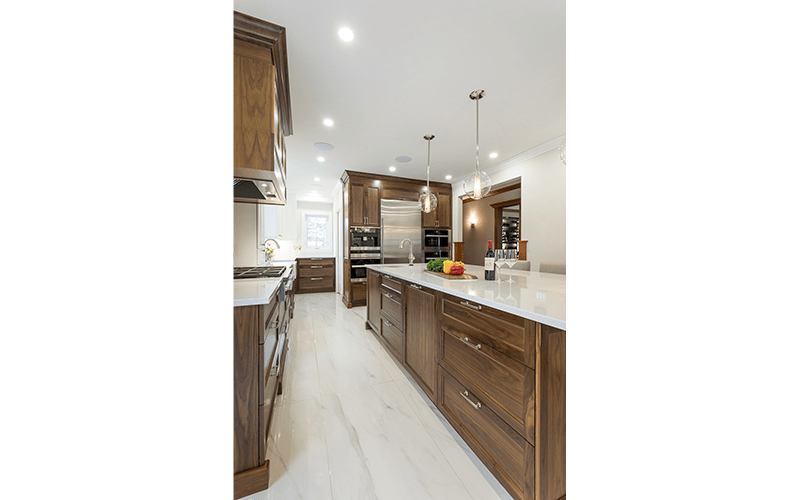 The mandate was to maximize space usage and to create a warm kitchen environment ready to accommodate several guests. 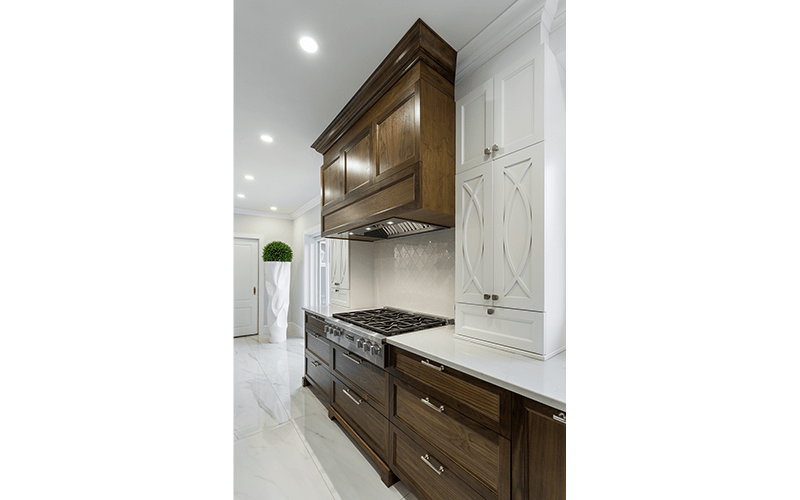 Plentiful storage space, an imposing storage cabinet, a huge island with its quartz countertop, and walnut and white finishes have met the requirements of the customer. 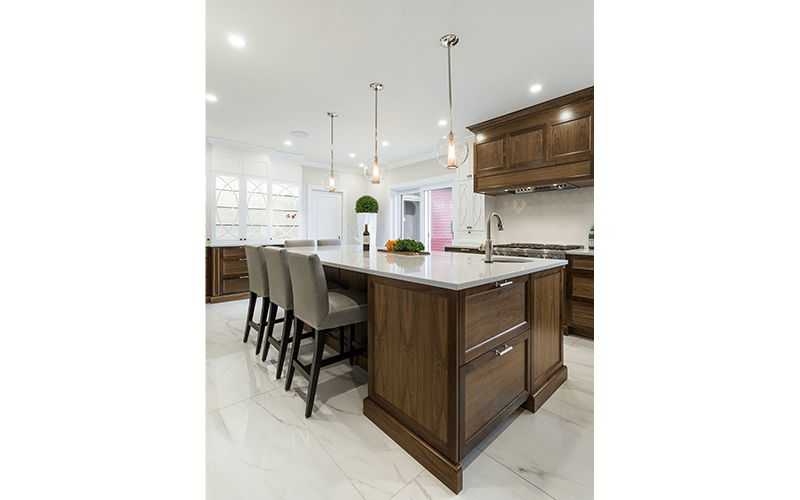 The layout of the appliances and the two sinks make this kitchen practical and ergonomic; a winning combination for a beautiful environment. 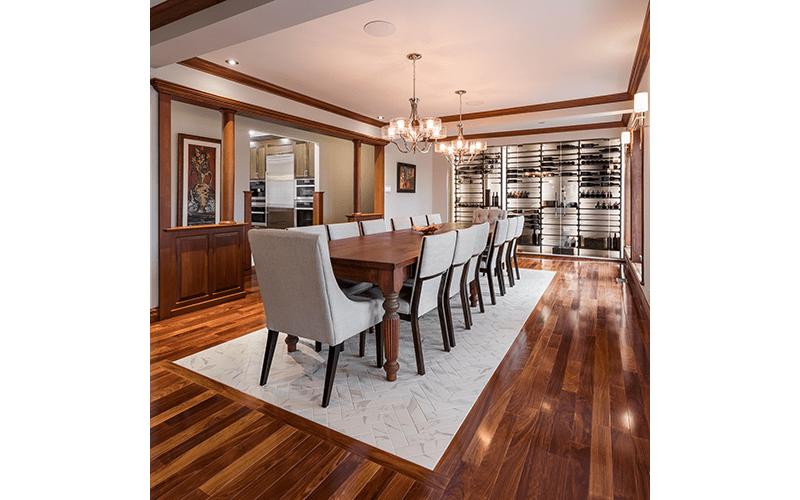 We also reworked the dining room to include a large wine cellar with two areas; one for whites and one for reds. The integrated lighting effect is spectacular. The new lighting, the floor under the table with chevron tiles and the fabric covered chairs, all come together to make this space inviting. The living room has also been revamped and updated with new furniture, the addition of shutters, and decorative accessories. 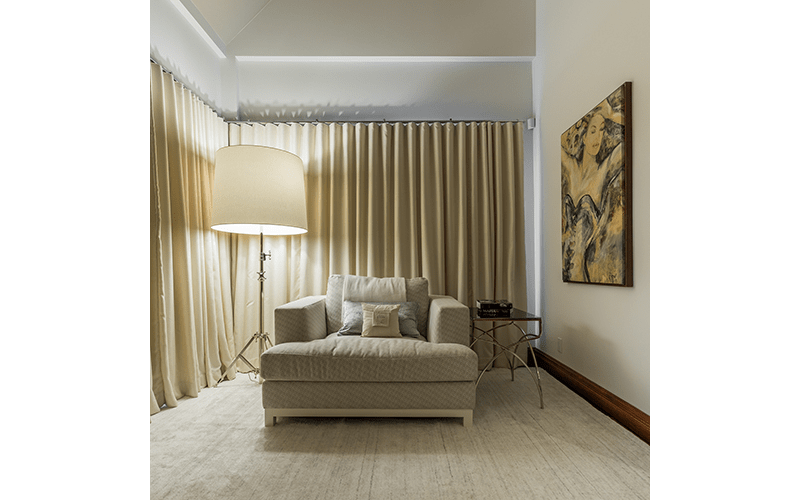 Finally, the discreet reading area created in the master bedroom is just as inviting as it is relaxing. TIME TO REDESIGN YOUR SPACE? Interior design needs preparation, some discussions, along with my creativity and my experience, I will create and redefine your living space!